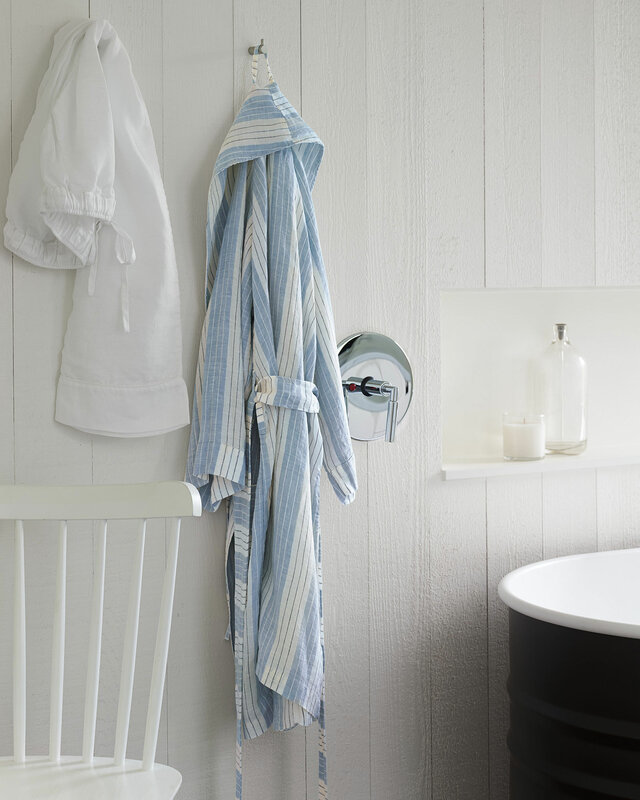 Porto Linen RobePorto Linen Robe, Blue Chambray alt="Porto Linen Robe, Blue Chambray"
Print We love lightweight linen for its unique ability to breathe and insulate. 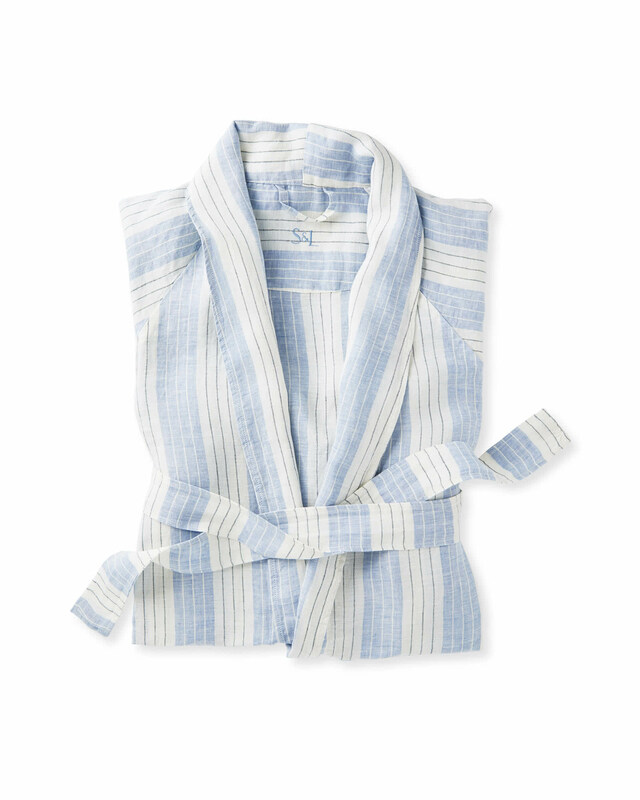 Comfortable and cozy, our kimono-style robe keeps you cool during warmer months, yet warm when the temperature drops. It relaxes with wear, too, restructuring into shape after laundering (while getting softer with every wash). Beautifully made in Portugal, with only the purest linen fibers to be gentle on your skin. Hits above the knee on most. Women's Sizes: S/M and L/XL.